CWI Gifts 7" Beige Silicone Tipped LED Taper Candlestick. 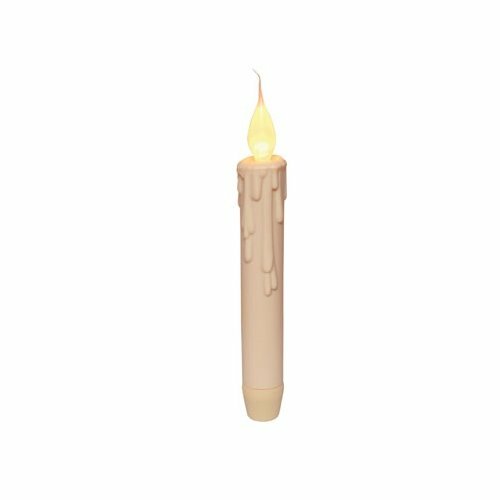 Add a soft flickering glow to your candle displays with our Beige Silicone Tipped LED Taper. The plastic candle has a silicone covered flickering bulb. Will work for approximately 300 hours and requires two AA batteries (not included).